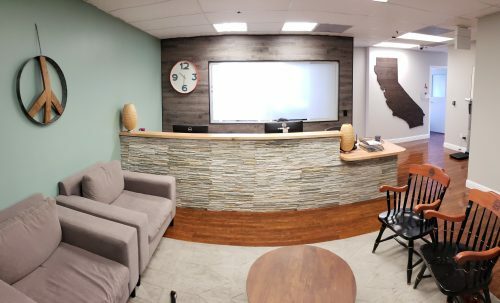 At the San Francisco Vein Clinic, we believe that a good doctor is not just technically excellent, but also compassionate and empathetic. Dr. Aquino and her staff take the time to listen to your concerns and answer each of your questions carefully. Your plan of care is individualized based on your signs, symptoms, and medical history and is discussed thoroughly with you. We know that even small procedures can be scary. We are vein specialists and strive to make the experience as comfortable as possible. 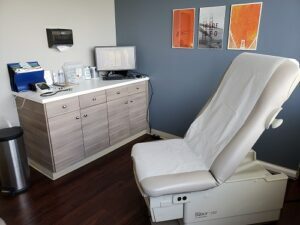 At the San Francisco Vein Center, we take the time to do a thorough history and physical exam. In this way, we are able to carefully formulate a treatment plan individualized to each patient. Patient comfort and convenience is important to us and we diagnose and treat most vein conditions in the office. As vein specialists, we know that vein disease can be extremely diverse and complex. Every patient shows symptoms differently and many people can have more than one condition. Vein disease can lead to complications such as spider veins, reticular veins, varicose veins, or blood clots (deep vein thrombosis). These are are all conditions we treat. In this day and age, there are many types of “vein specialists” with varying qualifications. Some vein procedures involve only injections. Technically, these can be done by nurses or any kind physician. Some procedures don’t require surgery necessary to be performed in an operating room. These are often learned in a “weekend course” by any kind of physician who signs up. However, vascular surgeons are different. We are trained with five years of surgery residency followed by two years of fellowship in surgery on arteries and veins. We have a true understanding of the anatomy of the venous system and understand the different nuances that each patient presents. Furthermore, if surgery is required, vascular surgeons are able to do these procedures and to know when they need to be done. In other words, they have the full set of “tools” at their disposal to treat vein patients. Furthermore, we believe that a good surgeon is not just technically excellent and knowledgeable, but also compassionate and empathetic. Our office is small, and personal. We take the time to listen to your concerns, and answer each of your questions carefully. Your plan of care is confidential and individualized based on your signs, symptoms, and medical history, and is discussed thoroughly with you. We know that even small procedures can be scary, and we strive to make the experience as comfortable and nurturing as possible. We appreciate the opportunity to help you achieve the best results possible for your varicose veins and spider veins. Our mission is to impact your life for the better through the careful and thorough treatment of your venous disorders.